I had a different idea for what I wanted MacStories to be in 2009. You see, as a newly-minted Apple aficionado from Viterbo, Italy, who had just discovered the world of Apple blogging, I was fascinated by websites such as MacRumors, TUAW, Daring Fireball, and Engadget. I primarily wanted to use my longtime passion for in-depth videogame reviews (which I used to read on EDGE and other magazines when I was younger) and bring that style to Mac and iPhone app reviews; at the same time, I also wanted to have a website that could cover news, share tutorials, and, why not, maybe in the future even report rumors. I wanted to do it all, even though I was just a 20-year old guy from Italy who'd never blogged in English before. For the first year, I poured my life into writing MacStories every day and trying to establish my name by reaching out to as many app makers, fellow bloggers, and readers as possible. My girlfriend can confirm this – I was working 15-hour days, including Christmas or my birthday, just to make MacStories happen. Re-telling the story makes it sound simple, but it was a long process of showing up every day, writing, engaging with readers and other writers I respected (even though they had no idea who I was), learning from my mistakes, and doing the same day after day, even though there was no immediate reward because the website was not paying the bills yet. There were several times when I doubted the entire effort (after all, what could a young and aspiring writer from Italy with bad English do in comparison to more popular publications with entire teams behind them? ), but I was fortunate enough to be in good health, have some savings and my girlfriend's support, and so I stuck with it. I started seeing the first concrete results sometime in the Fall of 2009: I sold some ads and the page views consistently grew from hundreds per month (which seemed huge at first) to thousands per month (which seemed huge also), and I thought that justified my perseverance. 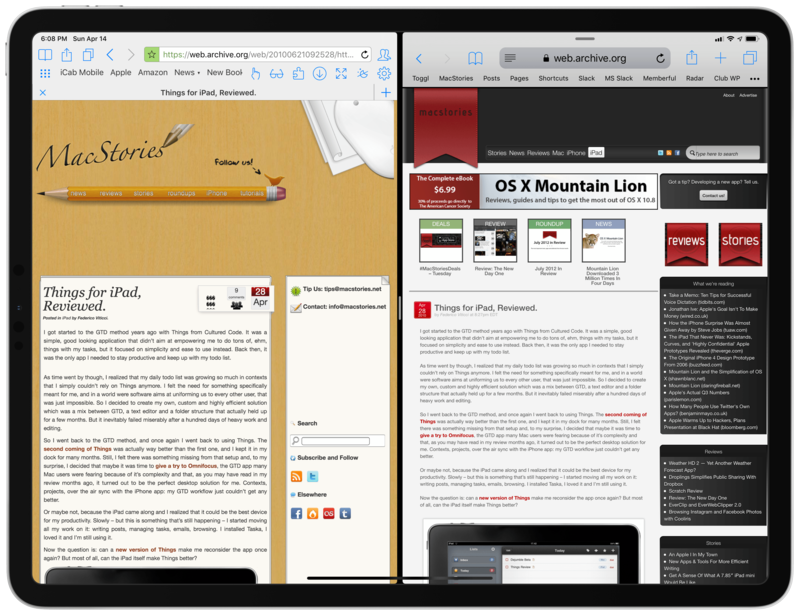 I wasn't sleeping much and always felt like I wasn't doing enough, but I continued because I strongly believed the Apple community needed the kind of site I wanted MacStories to eventually become. I was, effectively, building my dream job in the open and exposing myself to all kinds of criticism while doing so. This is pretty much still true today. The evolution of MacStories through the years. 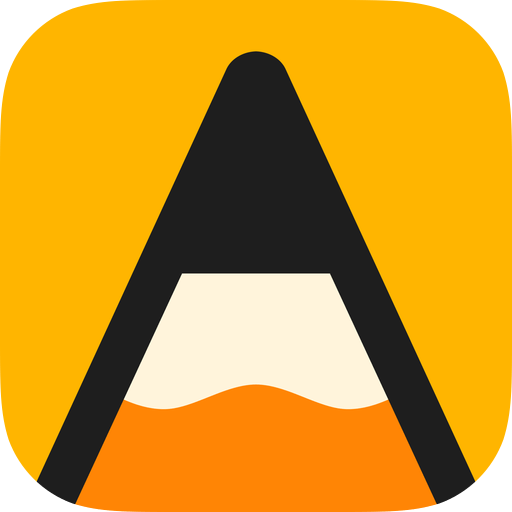 As MacStories was slowly growing and I was finding an audience for my in-depth app reviews, I increasingly felt lured by the promise of timely news coverage and rumors. I thought that if MacStories could report Apple news and rumors as quickly as other websites, I could accelerate the process of a bigger audience stumbling upon MacStories and then discovering what really made the website unique: in-depth app reviews and opinion pieces. At the time, the most important metric for me was page views (because MacStories was making money off traditional banner ads); therefore, my incentives were directly aligned with attracting the biggest possible audience. At the same time, I didn't want to give up on the reason I started MacStories in the first place (writing in-depth reviews unlike anyone else), so I decided that I wanted to have my cake and eat it too. I was going to report news and rumors to attract a larger audience, and I was going to continue writing app reviews for a dedicated, loyal niche too. To do that, I realized that I needed a team, and that's when more bylines started appearing on MacStories. In the span of a couple of years, Cody, Chris, Gabe, Don, and eventually Graham joined the MacStories team and they all contributed to my idea of a website that was able to cover Apple news and rumors but also be different from other sources thanks to daily app coverage, interviews, editorials, and Graham's popular feature stories (I remember this one fondly). I could tell that the need to cover everything was putting a lot of pressure on everyone, but at the time I saw it as the only way to "make it" and be recognized. And arguably it worked, because we were able to report news stories before other publications, get linked by bigger sites, and draw new people to MacStories week after week. As time went on, however, I started struggling with thinking of MacStories as a personal blog associated with my name versus the reality that it had become a tech blog where multiple authors could write. Was my decision to assemble a team to cover more news in direct contrast with my underlying desire to use MacStories as a platform for myself and myself alone? Or was I right in trying to find a balance between acting as the editor-in-chief in charge of a team while also retaining a space for my articles and stories? As longtime MacStories readers know, I got my answer when I was diagnosed with cancer in late 2011 and underwent treatments for the better part of 2012. Even though I kept working throughout the entire process because writing kept me sane and busy, if it weren't for the MacStories team, the site would have likely stopped for several months. Instead, having a team gave me the freedom to work whenever I felt like I needed to and provided me with the peace of mind of knowing that MacStories was in good hands. I'll be forever grateful for the fact that the team stuck around during that difficult time and did an excellent job in following my guidance and suggestions. One of the benefits of undergoing treatments and coming out alive on the other side was a newfound clarity in terms of what I wanted MacStories to be in the future. If something were to happen to me again, what kind of legacy did I want to leave behind? What kind of stories did I want to be known for? Did I want to continue being stressed over reporting unoriginal news and trying to chase "exclusives", or was my purpose something else? Again, it's easy to write this now, but this process of introspection and self-evaluation took me months and hours of conversations with my girlfriend (who's been amazing all these years and always believed in me). At some point by the end of 2012, I made the decision that we were going to stop reporting rumors or leaks and that chasing news stories to be "first" was no longer going to be our priority. 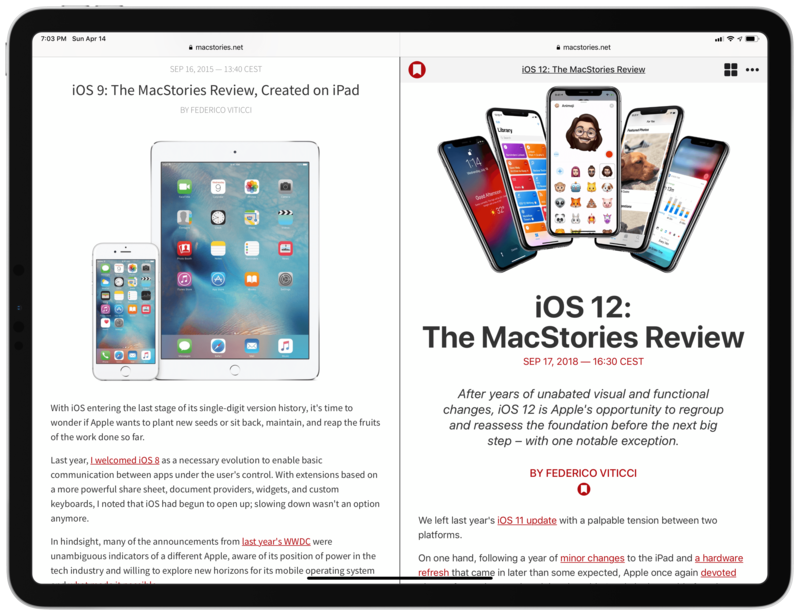 I decided that I wanted MacStories to go back to its roots by prioritizing original reporting, editorials, and reviews over rehashing information that other websites were covering better than MacStories anyway. The MacStories team has changed a lot since I decided to take the website in this direction (no one from the original team works here today), but the guidelines have remained consistent over the years. In hindsight, although financially speaking I suffered during the transition from the old model to this slower, more methodical approach, it was the best decision I ever made. Relieving myself and others from the pressure of covering news and rumors gave us the headroom to work on the reviews and stories we wanted to write; we were being more respectful of our readers' time because we were not reporting unconfirmed information; and, this strategy gave me the freedom to mold MacStories into what I wanted it to be, not what the tech media industry was forcing it to be. My iOS reviews have changed through the years as well. Whether you know MacStories because of my iPad articles, iOS reviews, and Workflow/Shortcuts coverage, or John's app reviews, or Ryan's news reports and editorials, or Stephen's Apple History pieces, or Alex's watchOS reviews, it means we've done something right. Just like our logo says, MacStories is a team effort by Federico and Friends – it'll always be my website, but I'm fortunate to manage something that is much bigger (and, I hope, better) than anything I could possibly do by myself. Today, I see MacStories as an independent media company rather than just a blog. In the past four years, thanks to Graham's original idea and John's contributions, we expanded MacStories by launching a membership service and a weekly podcast. 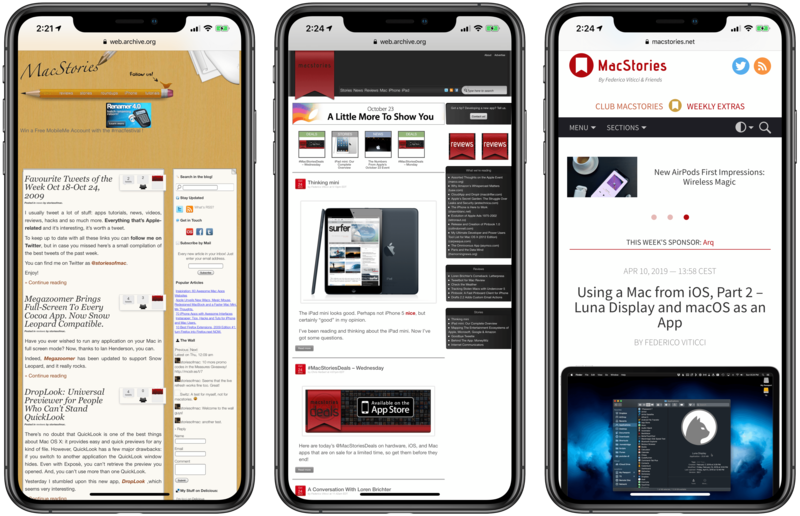 Both Club MacStories and AppStories have become successful, profitable endeavors that have helped us grow the MacStories team and the scope of topics we cover. More importantly, we love producing MacStories, Club MacStories, and AppStories every week and we love the fact that we're directly supported by sponsors and members who believe in our passion for writing about Apple and apps. At the end of the day, if we fail to deliver on our high standards, that's on us, and we're going to be held accountable by our readers. So far, I think we've done a pretty good job with this, especially in recent years. Of course, I still think we're not perfect and that there's more we can do. We can always do more and better; to some degree, it's in my nature to never be fully satisfied with my work. And I've come to terms with that because it's what drives me to get work done every day and always consider if we're doing the best we can to deserve our readers. The MacStories family keeps growing. For these reasons, I see our tenth anniversary as merely a beginning for bigger, bolder plans on the horizon. Without spoiling too much (and you know how much I like to surprise readers with our launches), I think you can infer where things are going: in addition to the launch of our official merch this week, you should expect more podcasts from us in the near future (starting this week!) and more services for Club members; I'm also in the early planning stages for a major redesign of the entire MacStories platform to (ideally) launch sometime in 2020, and we're internally discussing how we could approach video production in a unique, MacStories-y way. It may sound cliche, but I genuinely believe that MacStories' best days are ahead of us, and we're not stopping anytime soon. It's impossible for me to sum up 10 years of writing in one story. There are articles I'm still proud of to this day (Second Life, I Made You a Mixtape, Life After Cancer, and my iOS reviews are personal favorites) and there have been misses and posts I should have avoided, particularly in the early years. But that's part of the learning process and, in a way, those mistakes got me here today, so I should own them and thank them, Marie Kondo-style. What I can do, however, is mention and thank some of the people who helped me along the way. First of all, I'll be forever grateful to Silvia, my family, and my close friends for supporting me and putting up with me, especially when I was working too much and when I got sick. Similarly, I have to thank the MacStories team – the old guard, the current team, and Alessandro, our longtime web developer – for choosing to write for MacStories, listening to my requests, and believing in hard work. Without them, this website wouldn't exist today. Secondly, I want to thank the app developers who let me test and write about their apps when MacStories was a website with hundreds of readers and those who still work with us now that we have millions. MacStories exists because I and the rest of the team have an insatiable curiosity when it comes to apps that make our lives easier and help us work more efficiently. I hope that over the course of 10 years MacStories was able to shine a spotlight on indie apps that are crafted with love, care, and passion. Writing about apps will always be at the heart of MacStories. Lastly, I should thank MacStories readers. Whether you occasionally read the website or also happen to be a committed Club subscriber, none of this would make sense without your continued support. I hope that you were able to get something out of MacStories, even just once, over the past 10 years. I'll do whatever I can to keep deserving your time, trust, and attention over the next decade. Thank you for reading MacStories. It's been a wild, beautiful, fun ride over the past 10 years. I'm proud of MacStories and our team, and I can't wait to see where life takes us next.